Convenient design: Ideal for storing pills,vitamins,and other small items. Material: These pill cases are made of the environmentally friendly ABS material,which is non-toxic, odorless and 100% BPA free. Portable: The compact, tough design ideal pill cases are for travel. 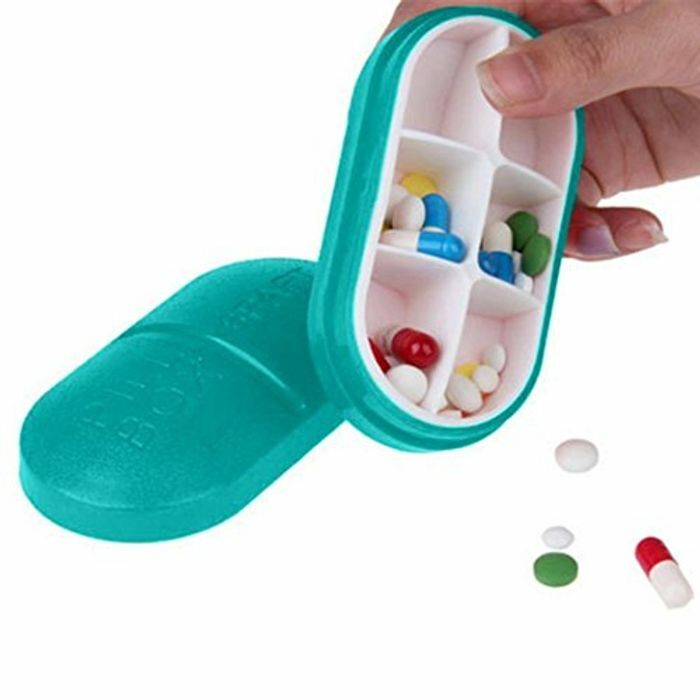 Large capacity - Pill organizer is made with an extra space of 6 compartments, can store many pills by category or by time. Sharp and Beatiful colors allow you to easily locate your pill box.